Richards is proud to have recently upgraded their quality certification to the new ISO 9001:2015 standard. We use the requirements of this standard to assist us in achieving excellence in customer service, quality fabrication and welding to current AWS, ASME and EN standards, additional processing and delivery. Through our continuous improvement work, we have recently increased our on-time delivery by 10% and decreased our error rate by over 3%. It is our goal to consistently provide our customers with quality parts on time that are error free. Richard’s Sheet Metal Recognized as One of the Top Metal Fabrication Companies in the U.S.
Richard’s Sheet Metal was once again honored to be ranked on “The Fab 40” list of the most successful U.S. metal fabrication companies by FMA’s official publication, The FABRICATOR. Richard’s Sheet Metal was listed as number 38 on “The Fab 40” list — coming in with $18.1 million in 2017 revenue and a projected $19.5 million in 2018 revenue. Headquartered locally in Ogden, Utah, Richards Sheet Metal specializes in plate fabrication, sheet metal fabrication, structural steel fabrication and tube and pipe fabrication. Hartmut Jeske recently celebrated his 60th year anniversary working at Richards Sheet Metal. 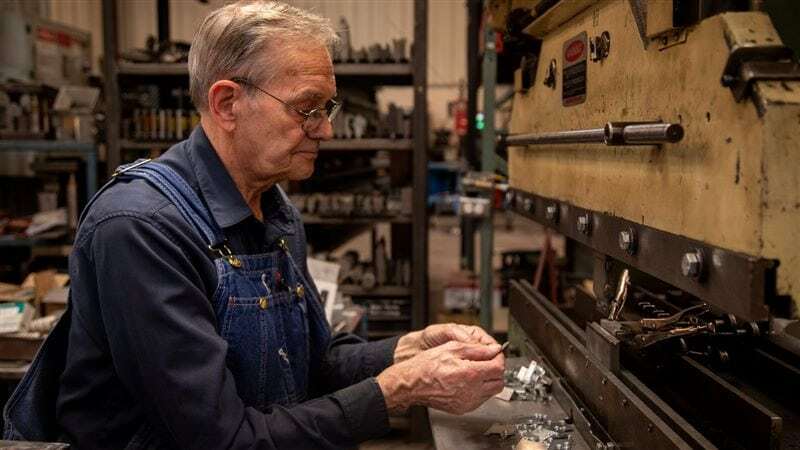 Jeske, who is now in his 80’s, has been a fabricator at Richards Sheet Metal for most of his life and is a beloved employee with literally a lifetime of knowledge to back up his valuable skill set. Born in Driesen, Germany, Jeske’s family immigrated to the U.S.A. when he was 16-years-old. Four years later he started work at Richards Sheet Metal and has been there ever since. And according to Stephen Richards (son of the founder, Ray Richards), Jeske has a job at Richards Sheet Metal for as long as he wants it. 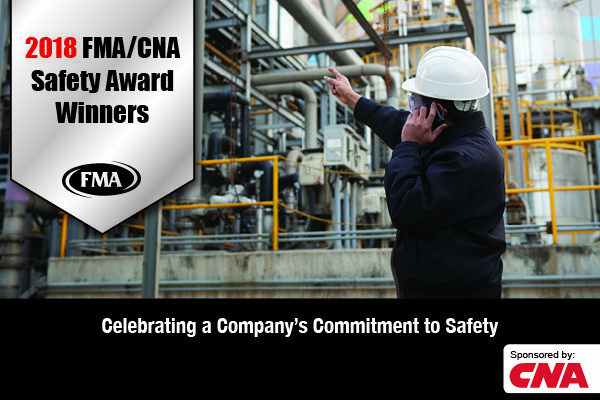 Earlier this week, the Fabricators & Manufacturers Association International (FMA) announced the recipients of this year’s Safety Awards. Award winners were determined by the FMA Safety Council and were recognized for their excellent commitment to safety within the metal fabrication industry. In order to qualify for the Safety Award of Merit, recipient companies must have a 2017 incident rate that is better than the published Bureau of Labor Statistics (BLS) rate by 10 percent or greater. Richard’s Sheet Metal was honored to be recognized as a 2018 Safety Award Merit recipient, among 21 other national metal fabrication companies. The official presentation of the awards will be presented at a recognition dinner at the 10th Annual FMA Safety Conference held April18-19, 2018 in Chicago at FMA’s headquarters. SMACNA is proud to acknowledge the 2017 SSEAP winners and salute the top chapters with the highest level of survey participants. For the SSEAP, member winners are determined by man-hour categories and OSHA incidence rates. In the category of 100,001 to 200,000 total man-hours, local, Utah-based contractor Richards Sheet Metal was honored by SMACNA for outstanding safety. Westside Mechanical Inc. – Naperville, Ill.
University Mechanical and Engineering Contractors Inc. – Tempe, Ariz. In business since 1928, Richards Sheet Metal is a total solution for quality metal fabrication for a wide variety of customers. Richards provides businesses and the industry with world-class products made of metal, finished and ready for application and marketing. Last week, at FMA’s newly constructed headquarters in Elgin (Chicago), Ill., attendees gathered at the 9th Annual Safety Conference. Richards Sheet Metal was honored for achieving safety records better than the OSHA recordable rate. Richards Sheet Metal Works is not your average fabricator. 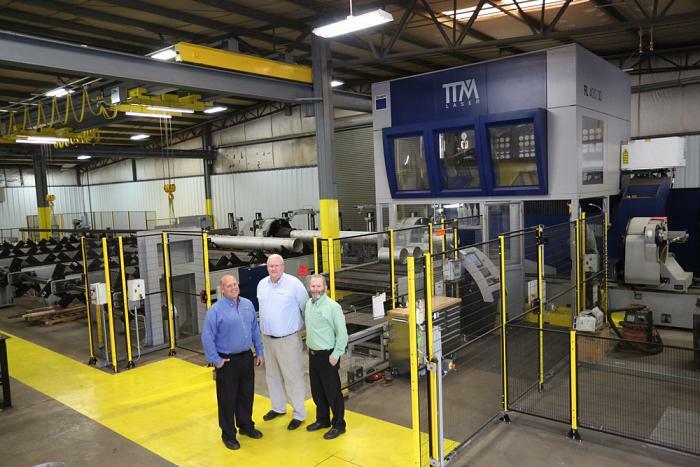 Two years ago, the company was faced with the decision to either invest in a new, state-of-the-art tube laser or replace their aging 5-kW CO2 TRUMPF flat-sheet cutting laser. Falling in line with the company traditions of pushing boundaries, innovating and pursuing new ways to better serve customers, they decided to take a calculated risk and invest in a 128-foot-long tube cutting laser. Today, Richard Sheet Metal is home to the largest tube-cutting laser this side of the Mississippi. This new, innovative laser can cut up to 0.787-inch wall thickness, bevel-cut walls up to 0.625 in. thick and handle work as heavy as 94 pounds per foot. In addition to purchasing this new piece of equipment, Richards Sheet Metal was also able to partner with Brett Donner from DLC Manufacturing and Fabrication Inc. in New Ulm, Minn. and receive consultation regarding their existing flat-sheet cutting laser and information on how to revitalize it’s capabilities, and maximize it’s usage and lifetime. Click here to view the full article from thefabricator.com about how Richard’s Sheet Metal is currently setting itself apart from the competition with its new tube laser. Our tube laser is up at Richards Sheet Metal Works of Ogden, Utah. The installation and startup of its new TTM FL-400 3D tube laser is complete. The FL-400 3D machine is capable of cutting up to 16” round and 12” square tube down to 1.5” round and square and all structural shapes in between with thicknesses of ¾” and under. The machine is equipped to handle feed stock lengths of 45’, bundle loading capability of 10,000 lbs in 10” round and smaller in 40’ lengths and outfeed lengths up to 31’. The machine is in daily operation at Richards’ Ogden Utah location, where they remain one of the largest contract manufacturers in the US. The decision to move forward with the procurement and installation of this equipment is consistent with Richards’ long term commitment to employee the best talent and utilize the best equipment available on the market. 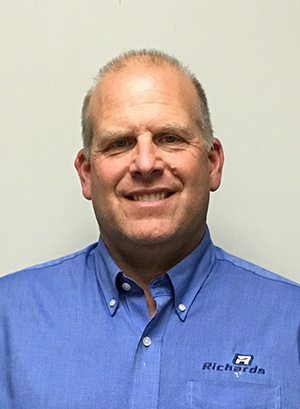 Recently at Richards, Kevin Jones, Vice President of Customer Development, was elected to the Sheet Metal and Air Conditioning Contractors’ National Association (SMACNA). His four-year term of service began in October at the close of SMACNA’s 71st Annual Convention. The SMACNA represents 4,500 contributing contractor firms in the international trade association and is dedicated to promoting quality and excellence in the sheet metal and air conditioning industry. Click here to view the complete and official press release from SMACNA below for more information about Kevin Jones appointment to SMACNA as well as information regarding the other four industry professionals that were recently appointed.